Our franchise organization is designed to provide you with the tools needed to create a memorable experience for every guest. Those granted a Brazen Head franchise will have the following support services available to them. 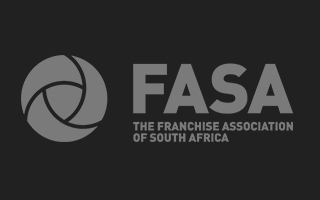 Franchise Consultant – The Franchise Consultant is responsible for assisting in all aspects of operation, from the initial development to ongoing support as your restaurant grows. The Franchise Consultant is a key source of ongoing support. Site Selection – We can provide you with site criteria for the area that you have selected. This information should help you analyze your site’s strengths and weaknesses. Construction Support – A set of prototype restaurant plans is provided. In addition, we can visit your site and offer recommendations for necessary modifications. We can also assist you with: remodeling enhancement programs, equipment specifications/supplier lists, document and design review. Financial Support – While we do not provide financing for your restaurant, we would be happy to assist you in preparing your loan package and business plan. Marketing and Advertising – We will assist you with planning and marketing activities beginning with your grand opening, and will set guidelines for future advertising and promotions. We also provide samples of advertising and promotional materials on a national and local marketing basis. Purchasing – We negotiate services and price agreements with approved suppliers and distributors for The Brazen Head concept. Training – We provide a comprehensive training program that includes training in the restaurant in addition to classroom sessions. The essentials of restaurant operations, staff management, financial management, marketing and a broad range of other vital subjects are taught using a variety of techniques and up-to-date methods. Manuals – A series of comprehensive manuals, covering all of the material in the training program and more, is provided for each restaurant. These manuals are designed for easy reference and as an authoritative source of information about operating standards and procedures. They are updated frequently to reflect the changing needs of today’s guest.